Personal stories of child refugees as they integrate into American society. Focusing on one classroom in South High School in Denver, Colorado, Thorpe (Soldier Girls: The Battles of Three Women at Home and at War, 2014, etc.) dives deep into the lives of 22 students, all refugees, who were just some of the many who enrolled in South High School’s newcomer class, a basic English acquisition class taught by kindhearted Eddie Williams. The students came from the Middle East, Africa, and Latin America, running from civil war, extreme persecution, drought, famine, and a variety of other atrocities. As in her previous books, Thorpe writes with great compassion, and she demonstrates a profound understanding of how difficult it must have been for these children to leave everything they’d ever known and move to a foreign country where the language, customs, and culture were so vastly different. She shares Williams’ methodology, which allows these boys and girls to cast aside their fears and bond with one another and their teacher, all while gaining a basic understanding of the English language. Thorpe also includes information on the general refugee situation in the U.S., discussing the various needs that must be provided for these newcomers and their families, including adequate clothing, housing, and money for apartment rentals, as well as job training and integration into the work force. She is candid about the occasional difficulties using an interpreter to learn each student’s personal story and how some children refused to discuss aspects of their long journeys to the U.S., a decision she respected despite her innate curiosity. Interviewing these young adults enhanced Thorpe’s understanding of the world, and reading her story will entertain and enlighten readers, creating a wider, more sympathetic view of the world and its inhabitants—certainly something we need right now. 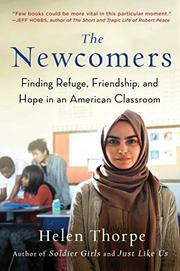 Humane and informative stories about refugees and their plights in America.